An open fracture is a condition in which the skin has been broken over the fractured area, introducing bacteria into the bony fracture. It is also known as a 'compound fracture.' 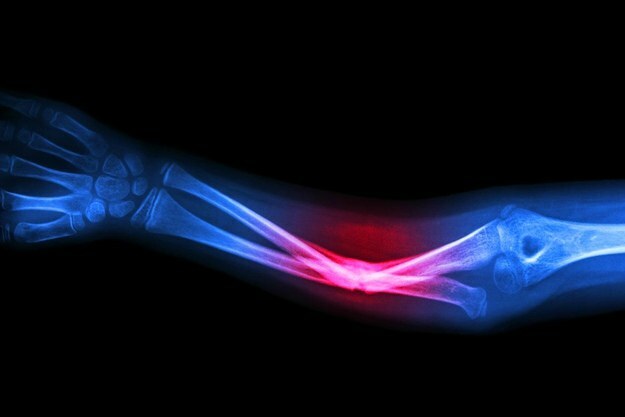 About a third of all compound fracture patients have multiple injuries, so it's best to learn all about an open fracture, its treatments, and how to get a personal injury attorney. Here is some useful information that will be handy if you find yourself suffering from this condition. Contamination of the fracture due to bacteria entering the wound. Crush injury to soft tissue that can increase the chances of infection. Destruction of soft tissue envelope that can decrease the function of tendons, nerves, ligaments, blood vessels, muscle, or skin near the site of the fracture. Always, the ABCDE protocol needs to be followed (airway, breathing, circulation, disability, exposure). Life-threatening injuries are treated first. The injuries to the head, chest, abdomen, pelvis, and spine are primary and take precedence over extremity fractures. The neurological status and vascular status of the extremities need to be taken into consideration when evaluating the limb fractures. The soft tissue needs to be explored in the operating room and obvious foreign bodies removed there. Wounds can be irrigated in the emergency department if surgery needs to be delayed for any reason. Doctors can inject a sterile solution into joint spaces to see if it leaks out of the wound, proving an open connection between the joint and the outside. X-rays will show the location of the fracture when compared to the open skin area. This occurs when there is swelling in the closed-off compartments of the extremities. This can also lead to a lack of circulation and nerve supply distal to the swelling. There is often severe pain, poor sensation, and a tight extremity due to swelling. If the patient is unconscious, these symptoms might not occur and the diagnosis is made by evaluating the nerve supply and arterial supply to an affected extremity. If compartment pressures are greater than 30 mm Hg, consideration should be made to do a fasciotomy to open the compartment and relieve the pressure. Pulses can be present even when the damage is already irreversible. Normally the diastolic BP is closer in the ankle when compared to the arm (greater than 0.9). If this is not the case, angiograms can be done to see if a vascular injury is present. Think about an angiogram if there has been a knee dislocation, a cold foot with a poor capillary refill, a high-impact injury to important areas, or a documented difference of ankle to arm diastolic BP of less than 0.9 difference. X-rays should all have two views if possible and they should be at 90-degree angles to one another. A CT scan should be done if there is a possibility that a joint is affected. Gustillo and Anderson Method. Type I includes a clean skin tear of less than 1 cm with minimal muscle bruising. The fracture is transverse or oblique. Type II indicates a laceration of greater than 1 cm in length with a great deal of soft tissue damage and some crush injury to the muscle. The fracture is transverse or oblique. Type III involves much tissue damage to skin, muscle, blood vessels, and nerves. There is a lot of crush injury from a high energy injury. There are three subtypes of type III injury, ranging from soft tissue lacerations, extensive soft tissue injury, and vascular injury. Tscherne Classification of Open Fractures. There are four types. Grade I involves a small puncture wound without bruising. Next is Grade II which involves a small laceration, bruising, and moderate bacterial contamination. Grade III involves a large laceration and heavy bacterial contamination with a high chance of nerve and blood vessel damage. Lastly, Grade IV involves incomplete or complete amputation than can be a clean cut or a crush injury to the affected area. Tscherne Classification of Closed Fractures. In Grade 0 there is little soft tissue injury, while in Grade I, there are abrasions or bruising of soft tissue. On the other hand, in Grade II, there is significant muscle bruising from moderate to severe blunt trauma and a high risk of getting compartment syndrome, whereas, in Grade III, there is extensive soft tissue crush injury with avulsion or de-gloving of some soft tissue. Compartment syndrome or arterial disruption is present. X-ray and clinical evaluation is done of the affected area. Wound hemorrhage is stopped with direct pressure, if possible. Parenteral antibiotics are started as soon as possible and a moist, sterile dressing should be placed on the wound. The fracture should be reduced and a splint applied in the emergency department. Surgery is then undertaken as soon as it is able to occur. Don’t irrigate the wound in the emergency department as this can further contaminate the wound. Don’t remove any bone fragments as they may be necessary for surgery later. In type I and II injuries, a first-generation cephalosporin should be used. In type III injuries, an aminoglycoside should be added. If this is a farm injury, add both a penicillin and an aminoglycoside. Tetanus prevention should be given in the emergency department. The wound should be irrigated thoroughly in the operating room and extended along the line of the extremity to examine the entire injury. Debridement should be meticulously performed, beginning with fat and muscle tissue. Tendons should be preserved if possible and any bony pieces which don’t have any soft tissue attached can be removed. Joint involvement should be explored carefully and fracture surfaces need to be exposed and cleaned off. Irrigation with or without an antibiotic solution can be undertaken in the operating room. If there is compartment syndrome, a fasciotomy should be done. After irrigation, only the part of the wound that was extended at the beginning of the surgery should be closed and the left should have a drain or vacuum-assisted closure. Debridement should continue every day or two until no necrotic tissue or bone is left. Foreign bodies should be removed, especially wood, cloth, and leather. Road tar may be needed to be removed using an emulsificant to help dissolve the tar. The foreign body itself may cause inflammation as well as infection. The fracture itself should be treated with nails, through internal or external fixation. External fixation can be helpful because it gives continuous access to the wound during healing. After checking that there is no evidence of necrosis, the wound should be covered with skin grafting, free muscle flaps, or rotational flaps. Bone grafting can be done after the wound is clean, dry, and closed. This can take up to six weeks after the injury. In some cases, the limb cannot survive, especially if there is irreparable vascular damage or warm ischemia beyond 8 hours post-injury. If the limb has no function after the surgery to repair it, it may have to be amputated at a later date. Likewise, if the patient has a high injury severity score, a limb may have to be amputated to keep the metabolic costs of repairing the limb down to a minimum so as to avoid multi-organ failure. If there will be multiple reconstructive surgeries that exceed the patient’s ability to tolerate them, an amputation might be better. Infection in the bone and in devitalized tissue is the highest complication of open fractures. Osteomyelitis can take months to heal and must be treated with aggressive and serial debridement procedures along with copious lavage and antibiotics. Wound care must be meticulous. Some places are more likely to be infected than others, such as the tibial area. Nutrition and overall health of the patient play a role in who gets a serious infection and who doesn’t. Missed compartment syndrome is another complication of an open fracture. This can cause a loss of function, particularly of the forearm, leg, and foot. Compartment pressure monitoring must be regularly done to avoid missing this severe complication of an open fracture. Having an open fracture isn't just about physical pain, suffering, and medical expenses, but also the trauma that comes after. Therefore, it's crucial to check with your doctor immediately and take action by getting a personal injury attorney. If you or a family member ever encounter injury cases such as this near the Sacramento area, you can reach out to me, Ed Smith, at 916.921.6400 and have a free consultation.